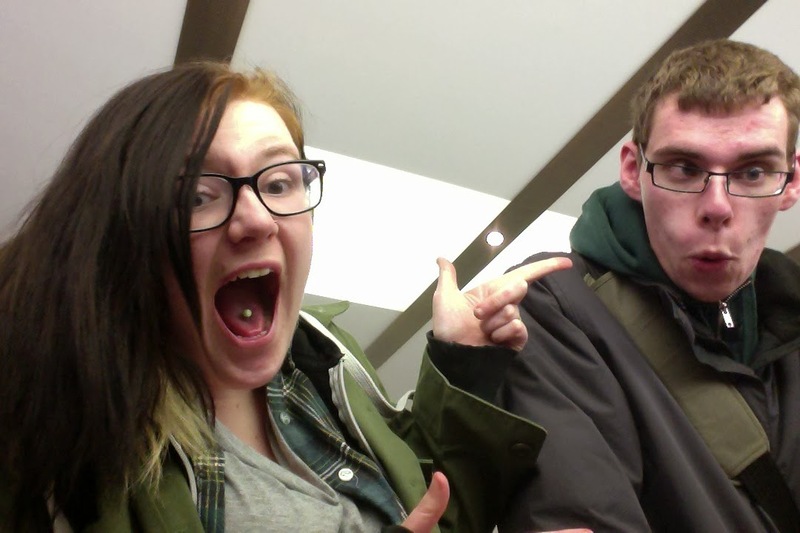 Today, I am in the Apple store in Norwich, and this time I am with my super cool amazing sock rocker friend Mark. He says Hi... well he didn't, I'm just saying he did. Cue Apple store selfie in 3..2..1.. He is cool, I'm anything but cool, and that's the story of that. And I haven't got anything else to say, so enjoy that photo of me whilst you eagerly await my next post, haha. Peace, love & sausage rolls!